For most people, myself included, the Attack phase is one of the most difficult since the food you can eat is extremely limited. Similarly all protein days can also be difficult. For me one of the things that helped the most was always have food stocked in the fridge that worked for the diet. One of those was ground beef. 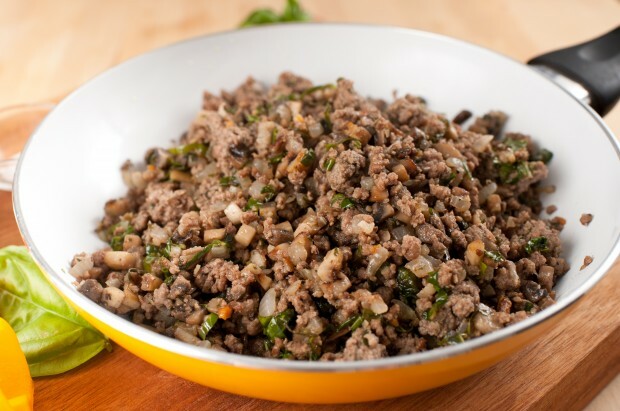 This ground beef is jazzed up with simple curry spices to make it more exciting and offer your taste buds a change. Add the garlic and beef and break into smaller pieces using the back of a spoon. Cook until the meat is cooked through and no pink remains. Add the curry powder, salt, and pepper. Taste and adjust seasoning if needed.